Loopholes Shield Fracking Industry While Families Pay the Price! In 1989, Dusty and Tamera Hagy bought 81 rural acres in Jackson County, West Virginia. Twenty-one years later, the Hagys sued four natural gas drilling firms alleging the natural gas wells drilled on their property in 2008 contaminated their drinking water and caused physical harm. The Hagys’ water contamination lawsuit demonstrates how the natural gas industry has built a near-perfect “federal legal exemption’s framework” that when combined with lax or absent state regulations and the legal system’s high costs, inherently approves of citizen collateral damage with no restitution. The consequence of this framework is that the burden of proof is placed on plaintiffs who, at best, are forced to settle with natural gas companies, thereby sealing the case from public scrutiny, scientific examination and legal precedence. Because the Hagys didn’t sign a non-disclosure agreement with the natural gas companies involved, their legal case gives the public a rare window into how fracking lawsuits play out in reality. Natural gas is a critical resource. Fifty percent of American residences use natural gas. Natural gas is seen by some as a bridge fuel essential to the U.S.’s strategy to gain energy independence from foreign oil imports. Yet we must ask ourselves: Is the current fracking system one we should support? Are changes needed to level the playing field for all parties involved in fracking? Can fracking be done safely? Dusty and Tamera Hagy unwittingly fell into the fracking trap the day they bought their land in 1989. “We loved our 81-acre property, it was our life. We had paid off the mortgage and spent a lot of money fixing the place up. We raised our two boys there, buried our animals there and were planning to give our boys some property,” said Dusty Hagy. Mineral rights, fracking chemicals and natural gas federal environmental laws were all Greek to the Hagy family before a pleasant Equitable Production Company representative visited the couple in October 2007. Equitable Production Company’s representative informed the Hagys that four natural gas wells were soon to be drilled on their property about 1,000 feet up the hill from their home. In West Virginia, surface land ownership is separate from mineral rights. Mineral rights are the portion of the profits received from minerals extracted from land. Another party owns the Hagy property’s mineral rights which were granted hundreds of years ago. The Hagy family receives no gas royalties and didn’t sign a formal gas leasing contract, though, they did sign plenty of “papers” believing they did not have a choice. On Nov. 11, 2007, trucks, back hoes, tree cutters and workers converged on the Hagy property uphill and upstream from their home. Equitable outsourced the drilling to BJ Services and for the next six months the holler, or enclosed valley, was flattened for a six-acre natural gas well pad. Dusty visited the well pad often and learned from the job crew that this fracking job wasn’t going smoothly. One worker mentioned that they had hit a lake of water and were moving the rig. Another worker shared in this audio tape #3 how the cement casing “went bad” and was re-cemented. Of the four open and lined fracking wastewater ponds, one overflowed and later broke, spilling the fracking wastewater into the nearby creek that flows from the well pad past the Hagy family’s home. In March 2008, Dusty noticed that another fracking pond’s wastewater was emptied by hose into the woods. After finding foam and oil slicks in the creek next to their well, and then when their large pond turned green, the Hagys knew something wasn’t right. Dusty lodged a formal complaint with the West Virginia Department of Environmental Protection (DEP) on Nov. 17, 2008. DEP records reveal a gas inspector visited the site at the well’s completion and issued no violations. DEP records also reveal the three natural gas wells began producing gas in July 2008 and the wells today continue to produce about 3,000 m.c.f. of gas per month. As Dusty describes the Equitable representative, “We liked him, and he was a nice enough guy in the beginning and we believed everything he told us at face value.” Equitable said the natural gas drilling was simple and would cause minimal damage on 1.5 acres. When Dusty asked if fracking used anything dangerous, they were told that only water and sand were used, no chemicals were ever mentioned. A water test prior to drilling supported the Hagy’s belief that their water well was clean and safe. On Oct. 22, 2007, Equitable paid the Hagys $19,000 to cover surface damages to their land and trees because building a well pad trashes the landscape. “I believed the Equitable guy when he said the check was just for surface damages. My property was valued at nearly $200,000. It was stupid to sign that paper, I should have gotten a lawyer,” explained Dusty. Because the well pads used more than the original 1.5 acres, Equitable paid the couple another $10,000 for damage on an additional four acres. Later in 2008, Dusty learned the papers they had signed to receive the payments were actually damage release contracts attempting to exempt Equitable, and all drilling providers, from any and all damages associated with the drilling. “Other than shooting the family dog, this ‘contract’ covered near everything,” said Dusty Hagy. The family drank, bathed and cooked with their well water from November 2007 to November 2008 during the gas well drilling and fracking. Ironically, the Hagy family had boasted about their pristine well water and even after their adult sons moved out, the boys brought jugs of well water back to their homes. The Hagys began to notice changes to their water in early 2008. Their water volume was dropping and the water’s color changed from clear to brown. Often black particles were floating in water drawn from their well. Despite overwhelming evidence otherwise, Equitable never reported any issues that would impact the Hagys’ well water. Adding to the changing water quality, both Dusty and Tamera said they were oddly tired, and woke up with “bad headaches, like a hangover.” Both smelled an “acid” odor in the house and their eyes would burn in certain rooms. The Hagys didn’t put “two plus two together” until their youngest son went to his family doctor in Columbus, Ohio in October 2008. Their son had complained of nausea and was spitting up blood. His doctor treated him for acid reflux, a disorder he’d never experienced before, and suggested he stop drinking his parent’s well water. The son’s symptoms disappeared soon after he discontinued drinking his parent’s well water. Tamera Hagy developed a rash that her primary care physician diagnosed as contact dermatitis, a skin inflammation caused by a foreign source. Expert medical testimony in court documents reveal the Hagys’ health symptoms mirrored chemical exposure. Based on their complaints, Equitable re-tested the Hagy water well on Nov. 8, 2008 and their water had clearly changed. The turbidity, or murkiness, was six times greater post drilling (0.5 to 3.2) and iron, manganese and calcium levels increased significantly (Dusty replaced one hot water heater during this time due to calcium build-up). Water tests conducted later also revealed arsenic, lead, barium and Bis(2-ethylhexyl)phthalate, an organic compound linked to fracking wastewater. The radon levels of the Hagy well were 1,233 pCi/l with the maximum contaminant level set at 300. When those radon levels were compared to area wells, the Hagy’s radon in their drinking water was markedly higher than eight local U.S. Geologic Survey wells in the area. However, the water tests conducted before and after drilling were limited and included no tests for known fracking chemicals or volatile organic compounds. In November 2008, Equitable told the couple, “the water was bad” and to stop drinking the well water and the company began supplying bottled drinking water. On Jan. 13, 2009, Dusty and Tamera vacated their home and have never moved back. “We thought we were going to die,” said Dusty Hagy. Relations with Equitable were getting tense; Dusty even began recording phone conversations. Repeated requests for a list of the chemicals used in fracking went unanswered. Equitable offered to drill a new water well which the family declined because they believed the aquifer itself was contaminated. This belief stemmed from a neighbor’s claim that 30 of his animals had died in 2008 during the gas drilling. Plus, Equitable tied any restitution to the couple signing an non-disclosure agreement, or gag order, meant to silence the Hagys and negate any future claims. As this phone conversation (audio tape #3) with Equitable reveals, once the family sought legal representation in March 2009, all contact with Equitable stopped. Bottled water deliveries and hotel payments stopped. While the couple searched for a rental home, they lived in their un-heated camper. On a positive note, once they vacated their home, their negative health symptoms dissipated. The Hagys sued Equitable Production Company, BJ Well, Halliburton and Warren Drilling in October 2009. In short, even with the taped calls, drilling records, photos, videos and water tests, the Hagys’ lawsuit was “dismissed” in August 2012. Judge Goodwin’s opinion stated, “The case presents no genuine issue of materials fact for a jury to determine.” The lawsuit is in the appeals process and the litigation costs to date are $175,000. Though the Hagys’ lawsuit appears to provide evidence of water contamination, their dismissed lawsuit supports the claim, “There are no known cases of drinking water contamination from fracking,” often touted by pro-fracking groups. 1987 Parson’s Family, W. Virginia — Outcome: settled. 2011 Paradise Road, Bradford County, PA — Outcome: settled. 2012 Fiorentino vs. Cabot Oil, Dimock, PA — Outcome: settled. 2012 PA. DEP, Bradford County, PA — Outcome: settled. Why so few confirmed cases and no case tried before a jury? More than 40,000 shale gas wells have been drilled since 1996 and at least 825 serious fracking complaints have been lodged, yet only 40 fracking lawsuits have been filed. To date, a jury has never heard a fracking lawsuit. The natural gas industry is regulated on a state-by-state basis because of the federal legal exemptions granted to the industry. Predatory, private contracts signed between firms and individuals favor gas companies. The U.S. legal system’s high litigation costs dissuade lawsuits. The natural gas industry is exempted from seven major federal environmental laws. These laws in their simplest forms are intended to protect people, places, water and air. The U.S. Environmental Protection Agency (EPA) is tasked with enforcing these laws. Because the natural gas industry isn’t regulated by the U.S. EPA at the federal level because of the legal exemptions, natural gas drilling is regulated on a state-by-state basis. The chart below outlines the seven federal environmental laws exemptions, with many exemptions dating back decades. The latest three exemptions were strategically written into the 1,500 page Energy Policy Act of 2005 and are now infamously named the “Halliburton loophole.” These three short paragraphs focused on eliminating water pollution oversight and also eliminated the strict environmental reviews that federal projects must undertake. When these exemptions are combined, the benefits to natural gas industry are: no federal EPA oversight therefore pushing fracking regulation to the state level, no scientific testing, no environmental studies, no health and geologic studies and no liabilities for drillers of chemical releases into waterways and air. The 2005 Energy Policy Act’s strategy was to provide the U.S. with “an abundant, domestic and affordable sources of fuel.” Since 2005, the gas industry has been unhampered by federal regulations and the newer shale gas drilling has grown quickly; U.S. natural gas from shale reserves has grown from one percent to 35 percent of the U.S. supply. This new supply of 8.5 trillion cubic feet of gas has forced natural gas prices down by 50 percent, even spurring coal-based electrical plants to convert to natural gas. The least known exemption though, the 1986 Toxic Release Inventory of Emergency Planning and Community Right-to-Know Act, may offer the natural gas industry the biggest shield from liabilities and the greatest obstacle for parties alleging fracking water contamination. In response to the Bopal, India disaster, when Union Carbide released a harmful gas into an urban area which killed more than 20,000 people, Congress required industries to list harmful chemicals on the Toxic Release Inventory to the EPA. The EPA collects and then disseminates that information to the public and local governments. Yet, oil and gas companies were exempted from the Toxic Release Inventory, therefore chemical disclosure is different for each of the 29 fracking states. To boot, shale gas production, or fracking, is concentrated in relatively gas-friendly states: Texas, Louisiana, Pennsylvania, Arkansas, West Virginia, Colorado and North Dakota, listed in order of gas production volume. According to an in-depth National Resources Defense Council report which compares today’s hodgepodge of state-level fracking regulations, no state requires full chemical disclosure. Even new regulations in Texas, the largest shale gas producer, require chemical reporting but do not require “proprietary” chemicals to be listed which can account for 50 percent of the chemicals used in one fracking. The report also concludes that state reporting is inconsistent and significant portions of data are missing altogether. Adding to the lack of chemical disclosure, only two states (West Virginia and Colorado) inform residents about new wells before drilling. This means that in 27 states, residents are not notified of new drilling, making it impossible to conduct comprehensive (and expensive) water testing before the drilling. How exemptions play out in the law-can you prove what you drank? In 2007, Equitable wasn’t legally required to disclose the chemicals used in the fracking, therefore no doctor, no person or group knew what chemicals to test for or what caused the foam in the creek, the color changes in the pond or the compromised water well. Though water tests revealed the Hagy property drinking water had changed since the drilling had occurred, the tests were not apples-to-apples comparisons. During the lawsuit’s evidence discovery process, the natural gas firms finally furnished the list of chemical used on the Hagy property which verified the fracking chemicals used weren’t “just water and sand,” as quoted by the Equitable contact. The absence of verifiable chemical data is displayed in Judge Goodwin’s opinion and order to grant a motion for Summary Judgement, which in layman’s terms means the Hagy lawsuit was dismissed. The burden of chemical exposure proof was placed on the plaintiffs, “to demonstrate amount, duration, intensity and frequency of chemical exposure.” A catch-22. Adding to the chemical disclosure catch-22 is that most gas leases heavily favor natural gas drillers. 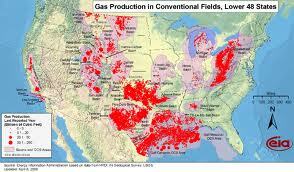 In 2011, The New York Times analyzed more than 110,000 shale gas leases and concluded; over half of gas leases provide landowners no restitution in the event of harm, most exclude any explanation of potential harm and a majority of leases include automatic contract extensions that require no landowner approval. Natural gas wells can produce for decades and gas lease contracts can be automatically renewed in perpetuity. Many leases include clauses mandating that damage disputes be heard in arbitration outside of the legal system. Many natural gas leases border on predatory in nature as it appears the gas leasing process relies on the ignorance of rural, landowners to enter into binding, private contracts with natural gas drillers. The Hagys claim they were absolutely unaware they had signed a damage release waiver, twice even. “The Equitable representative sat right on my porch and said the cash was a small payment for the trees and land damage. It wasn’t until November 2008 that I even found out I supposedly had signed away any rights,” said Dusty. These two damage release forms inadvertently signed by the Hagys have reared their ugly heads during the lawsuit process as another reason Equitable and BJ Services claim they are not liable for any water, health or property damage; the companies claim the Hagys signed away any rights to liabilities and restitution. The first legal team hired by the Hagy family in 2009 dropped the Hagys’ case one year later. During that year the family lost valuable time in conducting water tests and gathering evidence. Their current lawyer, Kevin Thompson, of the Law Offices of Thompson Barney in Charleston, West Virginia, has taken the case on a contingency fee basis. The Hagy family has paid no out-of-pocket expenses. The lawsuit’s litigation costs to date top $175,000. Interestingly, the Hagys and 70 of their neighbors who live on a 5-mile stretch of Sugar Creek Road have petitioned Southern Jackson County Public Services to extend public water service to their homes at cost of $2 million. The project is on an 5-year waiting list and there is no guarantee it will ever be completed. According to Karl Vielhaber, general manager for the Southern Jackson County Public Service, the property owners have petitioned for municipal water because most claim their water wells are contaminated from gas drilling. Most of the homeowners haul water to their homes from a coin operated water source. Dusty and Tamera have moved to a new property with a mortgage, and they still own their vacated property. Equitable’s three natural gas wells still produce gas today and may for years on the Hagys’ vacant property. A clear winner in fracking so far is natural gas industry. Fracking cases settled out-of-court provide critical benefits for the gas industry because the settlements include “gag orders” so that injured parties can not discuss the case and its contents. Financially, settlements reduce liabilities for natural gas firms by eliminating unpredictable jury awards. More importantly, settlements help the industry maintain their public relation’s campaign to the media, elected officials, the financial industry and the American consumer that natural gas drilling is clean and safe. American consumers are also winners in the fracking story. According to the Energy Information Administration, residential gas prices are about 50 percent less than the 2008 natural gas price peak. Fracking’s losers are the private landowners who have been negatively impacted by fracking and may or may not have received proper restitution. Collectively, the public loses as closed settlements shut down any learning, studies or analysis needed to create uniform industry best practices and build legal precedence for future cases. Based on evidence and public pressure, Congress finally approved the U.S. EPA to conduct scientific fracking studies. The final study will be available for peer and public review December 2014. Fracking regulations are slowly developing. The Obama Administration announced federal regulations mandating methane capturing at well sites. State legislatures are slowly developing new rules with Pennsylvania creating some of the toughest legislation over wastewater recycling and charging per well fees to pay for damages. But, as the Center for Energy Economics and Policy’s website and National Resourced Defense Council report illustrate, fracking regulation is complicated and convoluted. Stories like this can often leave readers with an uneasy question: “What can I do?” Hear are a few ideas. Contact your federal and state elected officials. Your state elected officials are key as fracking is exempt from federal regulation and it seems Washington is struggling to make any changes with pretty much anything. Sending a quick email to your state delegates and senator with a link to this post takes 30 seconds and alerts your elected officials that fracking is on your radar screen. Make your opinion on the current process known. Choose a fracking group from below that matches your point of view and sign-up for their newsletters. Add them to your twitter feed or friend on facebook to keep abreast of new regulations and issues. If you’re a Flipboarder, add fracking to your list. The groups below often include easy “call-to-actions” where your voice can be heard. Interestingly, all but a few people in these groups and grassroots organizations are volunteers. If you’re interested in reading the natural gas industry’s point of view, Energy in Depth is their policy and communications group. All photos taken by Dusty Hagy except the photo and story below is from the West Virginia Surface owner’s Right’s Organization.